Dockwa has expanded its capabilities to include contract management for long-term dockage. The new contracts tool allows marinas to create personalized contracts with custom rates, timeframes and add-ons, then send contracts to customers, monitor contract completion statuse, and process payments. 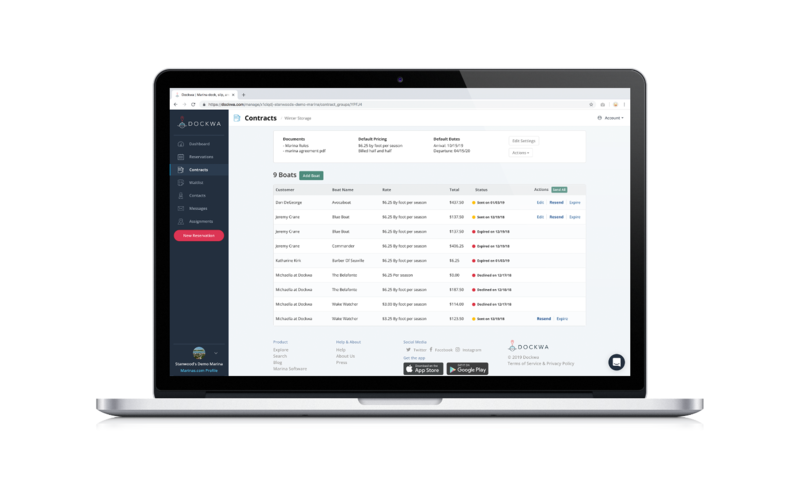 A real-time dashboard displays the status of all guest contracts in one place, and marinas can process contract payments right within Dockwa’s free cloud-based software. Dockwa Contracts is available to all marinas at its standard credit card processing fee. Marinas interested in using Dockwa for long-term contract management and/or transient reservation requests, can request a demo at dockwa.com/demo.